I’m pleased to announce that at long last my sci-fi noir series Slab City Blues: The Collected Stories is now available in audiobook, read by Steven Brand. The collection also has a brand new cover, illustrated by Kevin Goeke (see more of his work at movco-art.com) with cover design by Shawn King (www.stkkreations.com). The audiobook should also appear on iTunes in the next few days if you prefer to buy your stuff from the Apple-verse. Blade Runner meets Se7en in this gritty five-story collection from New York Times and USA Today Bestselling author Anthony Ryan. Slab City Blues: The Collected Stories contains four exciting novellas and one sensational novel set in a world of hard-boiled sci-fi and cyberpunk. If you like hard-nosed detectives, futuristic planets, and pulse-pounding action, then you’ll love Anthony Ryan’s world of vampires, werewolves, and space. 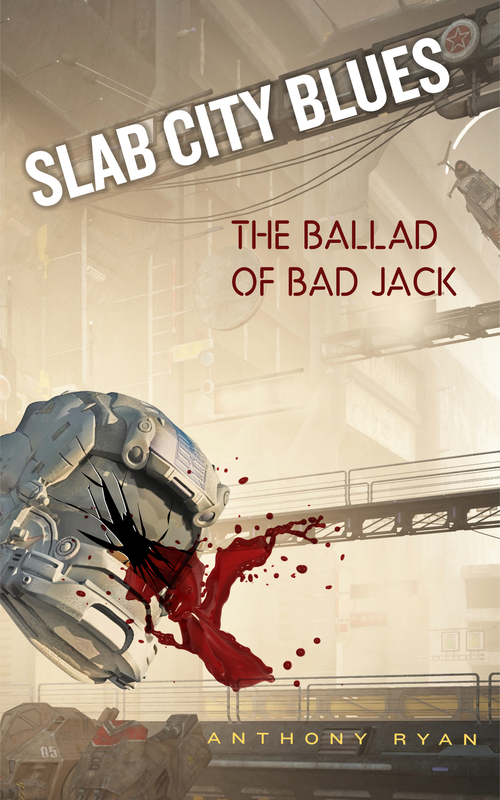 The latest Slab City Blues novella, The Ballad of Bad Jack, is now available on amazon.com, amazon.co.uk and Smashwords. Links also on the books page. Thanks to James at Humblenations.com for the excellent cover. Thanks to the folks at Ereadernews for listing Slab City Blues: A Hymn to Gods Long Dead. Also listed on their Facebook page. Tell your friends and watch out for the next instalment in the series next year. I’d also like to say a heart-felt thank you to everyone who helped me get to the point where I’ve quit the day job and will be writing full-time from now on. I really couldn’t have done it without you. Merry Xmas, secular holiday and New Year to one and all. 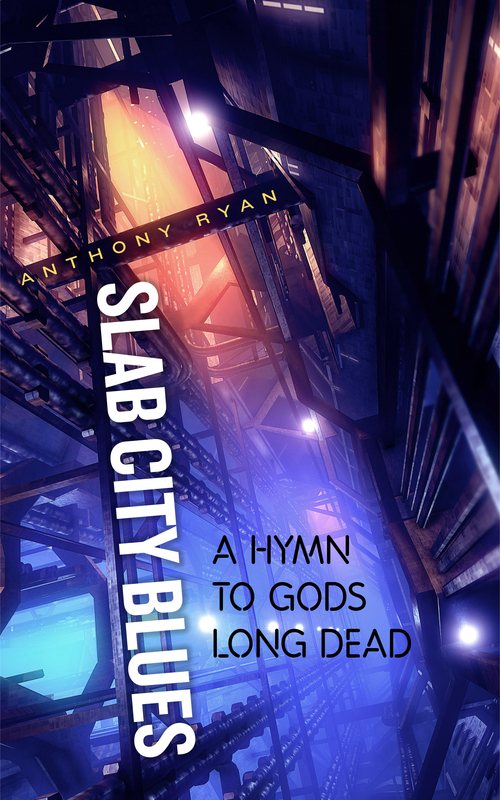 Thanks to James at Humblenations.com for the excellent new cover for my novella Slab City Blues: A Hymn to Gods Long Dead. He’s also produced a cover for the upcoming The Ballad of Bad Jack, which I’ll put up whenever I’ve actually finished writing it. A History of Television Space Opera Part 4: Battlestar Reborn – the Last Hurrah of Television Space Opera? The reborn Battlestar Galactica (USA, 2003-2009) was conceived by co-creator and show runner Ronald D. Moore as a deliberate “reinvention” of space opera, an ambitious, some might say arrogant, aim. However, over the course of a three hour miniseries and four full seasons, the series more than justified the claim. The basic premise remained largely unchanged from Glen A. Larsson’s mormon inspired original. In a distant corner of the galaxy a race of space-faring humans has colonised twelve worlds and nearly engineered its own destruction by creating a race of self-aware robots, the Cylons. After a costly war an uneasy truce has reigned between human and Cylon, until they develop the ability to look like humans, whereupon things get very bad very quickly. With the twelve colonies destroyed in a Cylon sneak attack, the remnants of humanity escape to the stars in a ragtag fleet, protected by the one surviving Colonial warship Battlestar Galactica, seeking a new home on the fabled thirteenth colony known as Earth. To this Moore and series producer David Eick (not that one) added a modern, hard-edged sensibility, playing everything absolutely straight with no whiff of cheese, enlivened by a real eye for action and intrigue. This provided a solid basis for stories on a range of themes, from tension between military and civilian authority in a time of crisis to racial prejudice and the fine line between terrorist and freedom fighter. This unapologetically allegorical approach made it very much a product of the post-911 era, a theme enhanced by the revelation in the first season that the supposedly cold and logical Cylons are in fact monotheistic religious fanatics. The Colonial humans, with all their allusions to Greek mythology, are polytheists. This is religious conflict through the lens of space opera. Battlestar’s thematic depth was matched by its commitment to characterisation, the two authority figures of Commander William Adama and President Laura Roslin were a compelling presence at the heart of the series, their initial antipathy changing over time to deep affection. Alongside this was added a myriad of interlinked story arcs too complex to unravel at length, but the journey towards redemption experienced by ill-disciplined screw-up Kara Starbuck and guilt-ridden and (literally) haunted traitor Gaius Baltar, are perhaps the most compelling and complete examples of character development offered by recent television, matched only by the journey of Jimmy McNulty in The Wire. Like all good stories, Battlestar Galactica had an ending, much derided though it turned out to be. In company with fantasy series Lost, Battlestar’s ending suffered from an excess of expectation. No conclusion, no matter how spectacular, surprising or cleverly plotted, was ever going to match the heights of anticipation reached by series devotees. And personally, I liked it – shoot me (wasn’t even that bothered by the ending of Lost, knew they guys had just been making it all up as they went along for years). Battlestar Galactica spawned spin-off prequel series Caprica which sadly lasted only one season and doesn’t really fall into the category of space opera. That torch was passed to Stargate Universe which I’ve yet to see, but got cancelled last year anyway. The producers of Battlestar Galactica have recently announced plans for another prequel spin-off in the form of Blood and Chrome which will relate the adventures of young fighter pilot William Adama in the first Cylon war. Whatever the merits of the central idea (we already know how it ends so what’s the point?) we should at least get to see some cool space battles. If it survives the pilot stage, television space opera may have a future, if not, it was a wild ride. The vision of our space-based future began brightly then darkened as the optimism of the 1960s faded and old certainties were undermined by the end of the cold war and the coming of the war on terror post 9/11. The pessimism of later space operas, and its recent decline as a television genre, can be partly explained by the advance in technology since the first broadcast of Star Trek, heralding undeniably great changes, but also a distinct lack of either global progress or regression for our species. Although warp drives, teleporters and photon torpedoes continue to elude us, modern innovations like mobile telephones, lasers and CAT scanners seem equivalent to the personal communicators, phasers and tricorders employed by Kirk and crew. In an age when technology has seemingly caught up with much of the future promised by space opera in its various forms, audiences may find it hard to accept that technological progress equates to either utopian prosperity or dystopian nightmare. Things change, people stay the same. If the future is now, it’s clearly far from peaceful nor, for much of the world, prosperous. On the other hand, most of us don’t live in a dystopian struggle for daily survival either. There seems little reason to assume the future, even with ever-advancing technology, will be any different. When the self-aware robots turn up though, it may be time to worry. Just finished the first draft of A Hymn for Gods Long Dead, the third in my Slab City Blues SF-noir series, set on a crime-ridden orbiting slum about two hundred years from now. I intended this one to be about 8,000 words but ended up with a 34,000 word novella which may grow even more in rewrite. I hope to get this published via the usual ebook outlets by mid-March, other commitments permitting. I’ll be putting it up as both a stand-alone ebook and as part of a collected Slab City Blues anthology – both for $0.99. 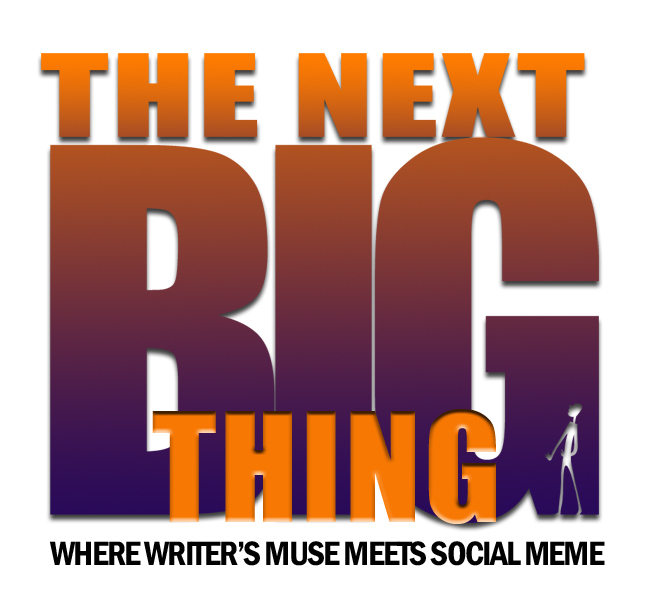 The first two stories will still be available as free ebooks on Smashwords, B&N, Kobo, etc, but not on the Amazon Kindle store since they only permit publication of free books via their silly KDP Select thingamajig. Once this is out of the way I face the looming mountain to climb that is Tower Lord, the sequel to Blood Song, Book One of my epic fantasy series Raven’s Shadow. Blood Song came in at 220,000+ words after rewrites and I expect the next one to be of similar length, a prospect which fills me with equal parts dread and delight.